Dlaczego oświetlenie do sklepu jest tak ważne? Jakie lampy wybrać do sklepu spożywczego, a jakie do odzieżowego? If you are looking for light sources which are discreet, but can also give an interior a unique atmosphere, the best solution are concealed downlight LED luminaires. They perform excellently as lighting for clothing stores, hotel corridors or office buildings, as well as house interiors. 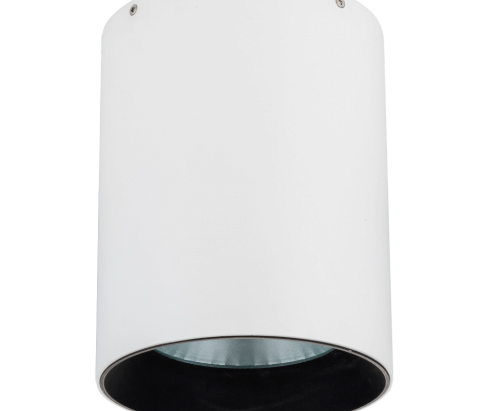 We offer downlight luminaires with different light distribution methods – conical and non-standard with a possibility of angle adjustment. As a result, our solutions can be used to illuminate specific products or as primary LED store lighting. We offer luminaires which depending on the selected model can be installed directly in the ceiling. In our offer you can find solutions with a color temperature of 3000K and 4000K, which corresponds to daylight, as well as with custom color temperatures. Thanks to their properties our luminaires can be used not only to illuminate stores, but also restaurants, banks, offices or museums.